Now, open the Emulator application you have installed and look for its search bar. Once you found it, type AFK Arena in the search bar and press Search. 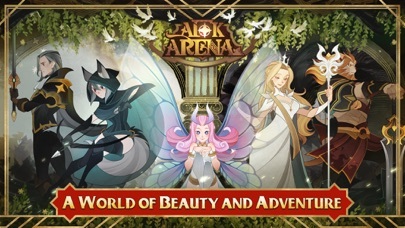 Click on AFK Arena application icon. 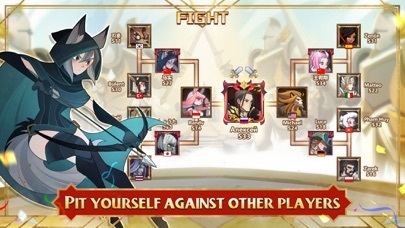 A window of AFK Arena on the Play Store or the app store will open and it will display the Store in your emulator application. Now, press the Install button and like on an iPhone or Android device, your application will start downloading. Now we are all done. So I’ve been playing for about 3 hours now. It’s a Solid game with fluid animation and great looking heroes. Wish there were more in the roster but I guess it will grow with time. 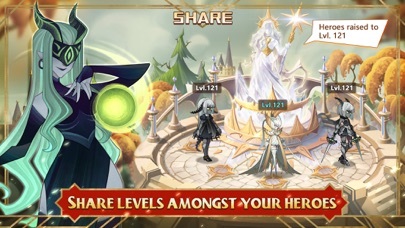 Great because it doesn’t use a timed energy system so continue forward with stages the only thing that will impede your progress is characters levels and equipment upgrades. 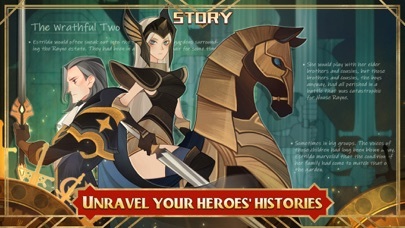 Each hero has an interesting story attached to them and each hero is incredibly unique but is made definitely with team synergy in mind. I wish there was more of a guide to explain things more thoroughly but instead pieces of the game are explains as you further progress and unlock things. It’s not a harsh negative it’s just it was confusing because I was doing daily quests and in order to collect all rewards you need 100 pts but it seemed I was glitched and was capped at 90pts for some reason with an explanation. It turned out I needed to unlock a tower aspect of the game but there was no indication that that was a part of the daily quests. It’s a small thing in the scheme of it all, and I’m not even that far into the game. 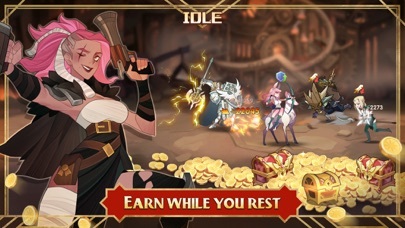 So try it out and enjoy the visuals and simple idle gameplay. I’ve played a lot of similar games in the past and still, AFK Arena, felt very nice from the get go so I’ve decided to stick with it for a while. After a few days I even bought ‘Advancement pack’ for 20 bucks as I liketo support goodgames on the market. 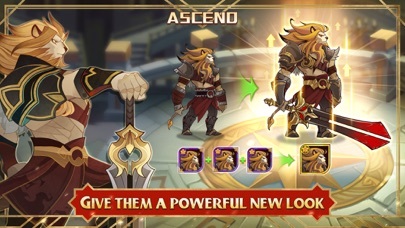 There’s some variety inthe game, labyrinth is definitely a highlight for me, but it mostly comes down to finding the FOTM heroes and beefing them up so you can conquer higher levels, higher floors etc. All was well until the Easter event started and I realized that they are actually selling event currency (Easter eggs) that drop from quests, rewards, bosses and such which to begin with creates a big disbalance for an event as such, as you can just pay for all event rewards instead of enjoying the hunt of the event. Real issue actually is the price of the event currency, 3 eggs for a 1 dollar - doesn’t sound like a lot, right? But when you realize the top reward in Easter event is the hero that comes with a price tag of 450 eggs, aka 150 USD, you know somethings fishy and I’ve seen other games trying to overcapitalize on good reviews and high rankings only to fall off rather fast. Again, game is very decent for the genre it falls in, but I’m afraid such greed might be a downfall of the community rather fast, so spend your dollars wisely. It’s a really good game and you can play for hours at a time and still have stuff to do, at first. There comes a point where it’s hard to move forward and it feels like the enemies get stronger faster than I get strengthen my heroes. I’ve also hit a road block in that all the enemies I’m against are legendary and I don’t have any legendary heroes yet, I haven’t gotten even close to getting one because I never seem to get the right heroes from summons to make any legendary. Also, the pricing for buying stuff is a little bit ridiculous. It feels like the items are nothing compared to how much they cost. Some gold and powder and 16 summons for a whopping $30 is a bit much, I’d be much more inclined to spend if it felt more worth my money. Overall though it really is a good game and I find myself checking in on it every chance I have to collect items and do some leveling. I also love that it’s not energy blocked and that in the labyrinth and King’s tower if you lose you can keep trying. It has a lot of great things about it and it looks nice and runs smoothly.